When will be People Magazine Investigates next episode air date? Is People Magazine Investigates renewed or cancelled? Where to countdown People Magazine Investigates air dates? Is People Magazine Investigates worth watching? A fire chief's wife is found burnt to death in her home. An autopsy reveals the cause of death was not the fire, but a gunshot to the head, shocking this small Louisiana town. This arson turned homicide leaves a killer to be found. In the summer of 1980, a popular teen goes for a run around her hometown in Maine. Days later, her savagely beaten body is found. But what happened remains a mystery for two years, until her mother intervenes and forces police to re-examine the case. thing they had in common: they all fell in love with the same man. In the fall of 1977, a Philadelphia woman goes missing. The police finally uncover the horrific truth about the woman's whereabouts. But capturing the killer proves even more difficult, as he manages to always stay on step ahead of the law. In the summer of 2000, panic overwhelms the Bay Area when bags full of body parts start appearing all over the region. Investigators follow the trail of grisly clues and it leads to the discovery of a secret cult carrying out a sinister scheme. In 1992, a woman is brutally assaulted outside of Desert Hot Springs, California. Miraculously she escapes, but lives in constant fear the he will find her again one day. What the victim doesn't realise is that she survived a Serial Killer. Gaulledet University is America's premiere College for the deaf, but this haven for higher learning is turned upside down when two students aremurdered in their dorms. Investigators dive into campus life and reveal a serial killer in the making. On a back road in Mississippi, a popular 19-year-old girl is set on fire and left to burn alive. Her last words lead detectives down a road of dead ends and the case goes cold until a special agent taps into her location data and finds a suspect. 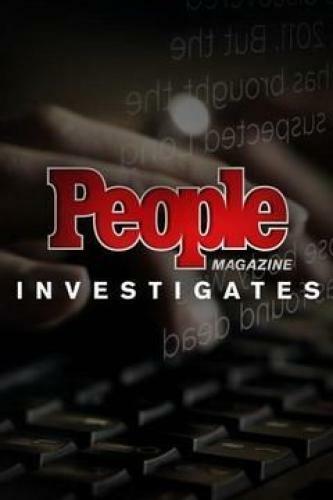 People Magazine Investigates next episode air date provides TVMaze for you. EpisoDate.com is your TV show guide to Countdown People Magazine Investigates Episode Air Dates and to stay in touch with People Magazine Investigates next episode Air Date and your others favorite TV Shows. Add the shows you like to a "Watchlist" and let the site take it from there.